It was already night. The dark sky shaded Hessdalen. Suddenly a ball-shaped light emerges from above the opposite hill. The light hovered, stopped, then moved slowly. Stop, then move again. Not long after, the light soared into the sky, walking to other parts of the valley at the same speed. Then he lost behind the hill. It's not a horror film trail, but a picture of a strange event that has been witnessed by thousands of people who have visited the Hessdalen valley. The strange light appeared many times, inviting the interest of scientists to solve the mystery. But even now, there has been no satisfactory explanation. The site of the mystery is Hessdalen, a small valley in central Norway. From late 1981 to 1984, residents there were thrown by strange and mysterious lights that appeared in various locations in the Valley. Hundreds of light sightings have been reported. It is said that when the strange phenomenon reached its peak, there were recorded twenty sightings in just one week. 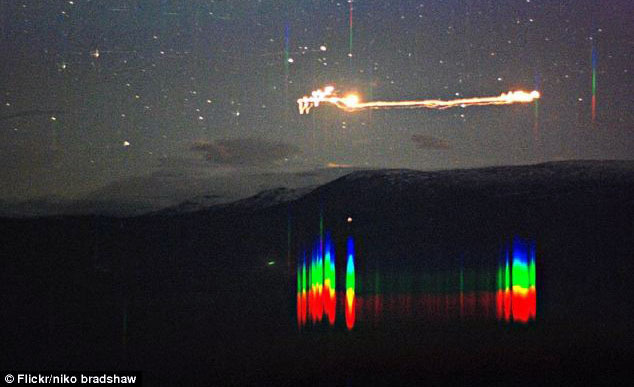 Reports of the appearance of a strange light in Hessdalen have been recorded since the 1940s. Even according to some information, since a hundred years earlier. But the events of 1981-1984 were the peak. Now, this strange light still appears in Hessdalen, but less frequently than in previous years. In 2010, the numbers range from ten to twenty reports a year. The ordinary observers see the mysterious light from a distance. Sometimes the light is in the valley, and sometimes it hovers over it. According to the testimony, the light does not sound, looks cold and leaves no burn marks on the ground. Only, after being investigated, microbes are killed when the light touches the ground. When measured in diameter, as written by Dailymail, the Light can be as big as a car. It usually appears in the sky between nine o'clock and one in the morning. More often in winter. When it appears, the light usually has a fixed color. Blinking bluish white light. It usually hovers high in the air and does not last long, just a few seconds. Sometimes this type of light lasts for up to a minute, but it is rarely more than that. Yellow light with red at the top. White or yellow light. This is the most commonly reported type. This light can be silent and last for more than an hour. The light can also move slowly, sometimes stopping for a few minutes, then moving again. The shape often looks like a ball. This mysterious phenomenon has been researched by experts. Since 1983, UFO researchers from Norway and Sweden launched the "Hessdalen Project". They investigated the strange phenomena at Hessdalen from 1983 to 1985. Then the University of Østfold in Norway conducted a research program involving scientists and students. The same step was followed by the Italian National Research Council (CNR). Jader Monari from the Astronomy Radio Institute in Medicina Italia says the Hessdalen valley has a unique geographic contour. In the middle of the river flow containing sulfur. While on one side of the river there are stones that are rich in iron and zinc. On the other side of the river, there are stones that are rich in copper. Both sides of it act like the positive and negative poles of the battery. So to say, such a soil content makes the Hessdalen valley resemble a giant battery. Other theories proposed by Dr. Hauge. He mentions the shape of the Hessdalen valley, with its climate and geology causing electricity, and static electricity in the gunning is blown by strong winds. 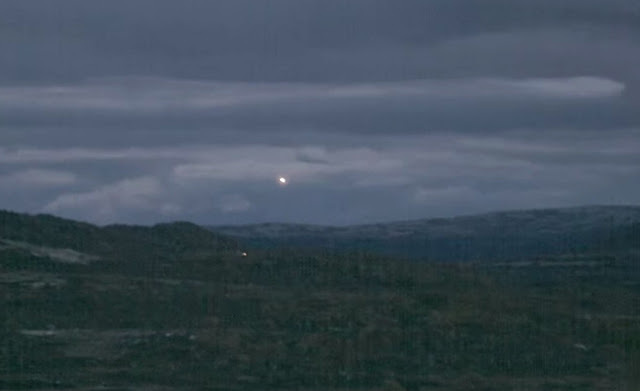 Some say that Hessdalen light is triggered by radioactive substances in the atmosphere. There is also another simpler explanation, that the light is a reflection of the car's light, house, passing private plane, or another light source. But this theory is also considered weak. Until now the experts are still investigating other possibilities, but no theory has been considered to explain the phenomenon of Hessdalen Light with certainty.